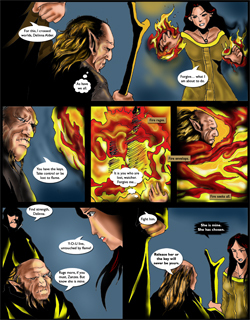 Rise of the Fallen and A Daughter of Kings begin new chapters of the Ruin Mist saga. If you haven't read the first four books in the series, read about them now. 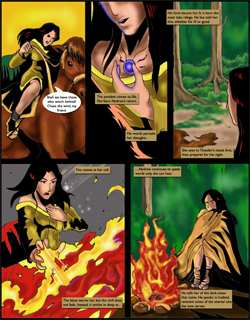 Betrayal tells the never-before-told story of Delinna’s journey into exile. Threaded through all four comics are the tragic romances that will tear apart nations and destroy worlds. 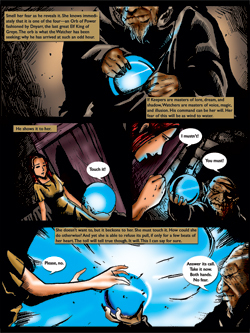 Synopsis: A decade before the events of the Ruin Mist Chronicles, Kingdoms and Dragons books, a princess named Delinna Alder touches one of the Four Orbs crafted by Dnyarr, the last great Elf King of Greye, and is transformed forever. 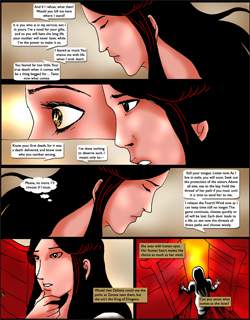 But Princess Delinna Alder has much to learn about the lethal price of being both within time and outside its bounds. Learn the never-before-told story of Delinna’s journey into exile and the tragic romances that will eventually tear nations apart and destroy worlds. Synopsis: It began with betrayal. Now deliverance. Can Delinna Alder be saved? Can there be deliverance from fate? Betrayal was followed by deliverance. Rebirth is next. But can one such as Delinna Alder truly be reborn? Or is she cursed to walk in darkness forever? 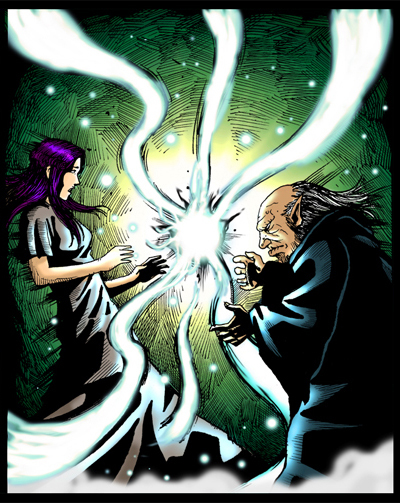 When Delinna touched the orb, she was transformed but soon learned there was a lethal price. Betrayal, deliverance, and rebirth followed. Now discord. What is the true price of her prize? Will she ever know? Will she ever be free of him? 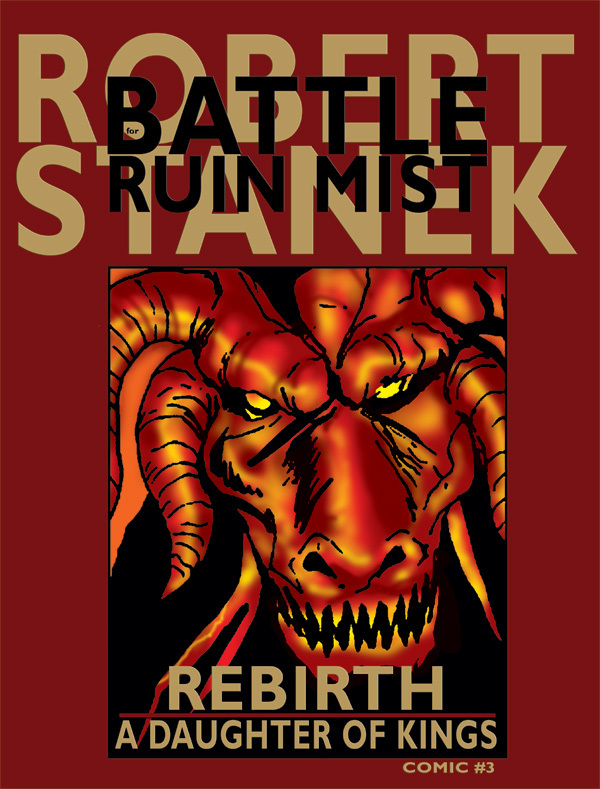 Robert Stanek first started writing about the world of Ruin Mist in 1986. 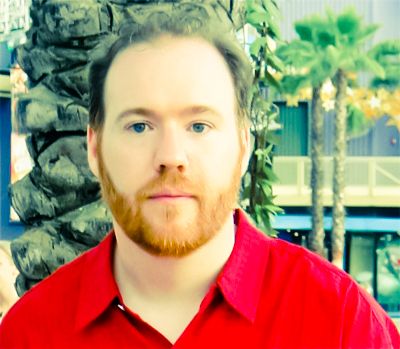 What follows is a short FAQ regarding the books and Robert Stanek's writing. 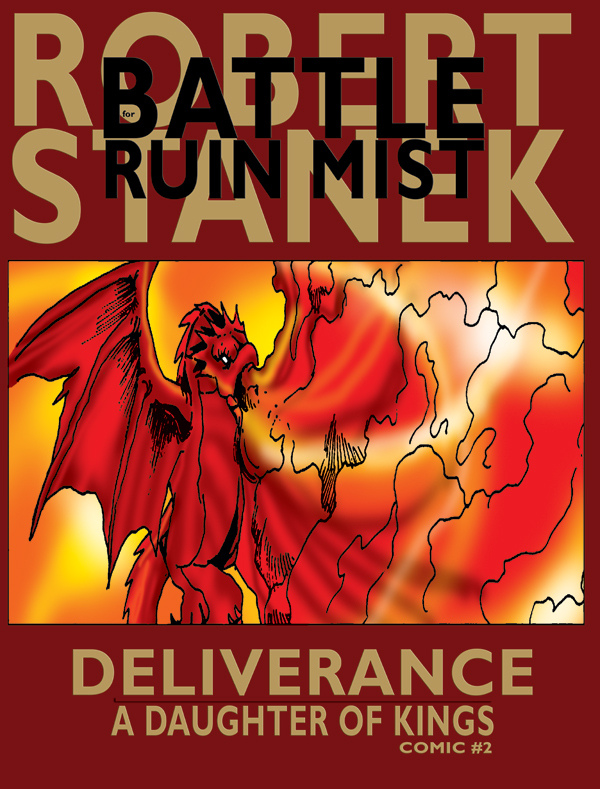 The Ruin Mist books are foremost a story of a struggle for power. In the kingdoms, King Andrew and King Jarom fight for control, and there is intrigue, plotting, and scheming. Adrina……….Youngest daughter of King Andrew. She is becoming a woman and has many concerns for her future and that of her family. 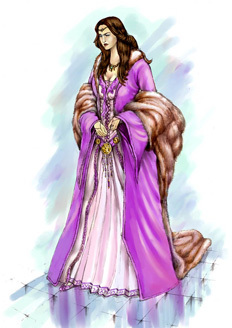 Midori……….Daughter of King Andrew who has been exiled. Her given name is Delinna. 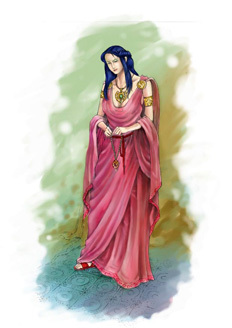 She took the name Midori after becoming a priestess. 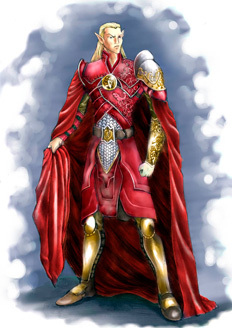 Valam……….Only son of King Andrew, also known as the Lord and Prince of the South. Calyin……….Oldest daughter of King Andrew. She lives in the far north with her husband the Lord of the North. 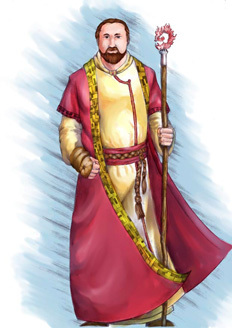 King Jarom is the patriarch of House Tyr'anth. In the early books not much information is provided about this powerful family. 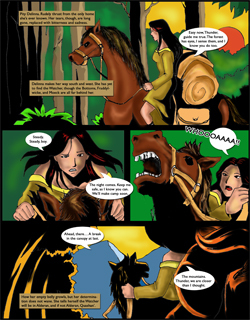 That changes as Emel makes his way through the southern kingdoms, and as King Jarom's plots become bolder. 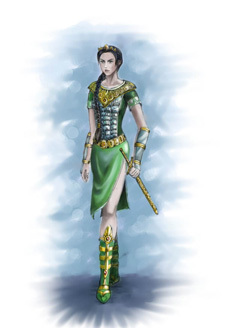 Emel……….Young guardsman who is one of Adrina's closest friends. 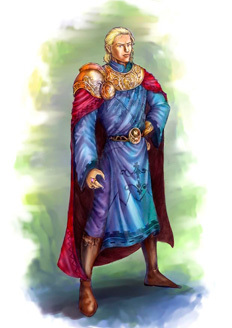 Galan……….Elf from East Reach across the great sea. 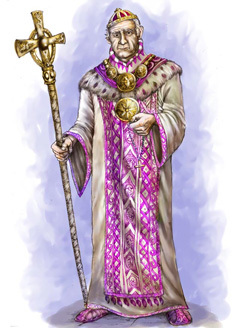 Jacob……….A priest of the father and friend to House Alder. 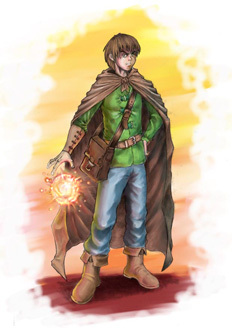 Martin……….A keeper of the lore, guardian of the ancient texts and knowledge. Seth……….Elf from East Reach across the great sea. Vilmos……….Young boy from Tabborrath Village in Sever. Sever is one of the southern kingdoms. 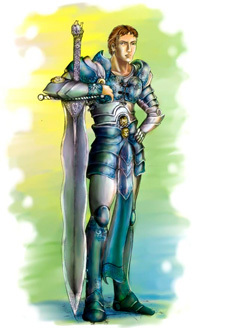 William……….Prince of Sever who becomes king after his father's death. 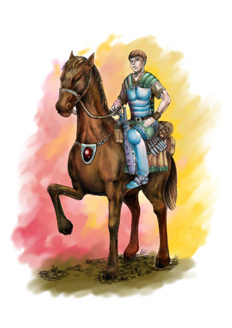 Xith……….Vilmos' benefactor who rescues him and leads him away from his homeland. These characters have significant parts to play in the books, but they are not the only characters in the books. Other characters you'll see include Edward Tallyback, the troant, Myrial, the servant girl, and Ansh Brodst, captain of the Imtal guard. How does the author manage so many characters? It is a challenge to create so many diverse characters and maintain their identities, but the many characters help breathe life into the story. The characters' lives are interesting, and they each have their own concerns, likes, and dislikes. They give the plot depth and make the world feel real. Whenever readers write to Robert Stanek, they tell him about their favorite characters. Sometimes they tell him how worried they are for a particular character. He especially likes hearing about characters that readers can really identify with. 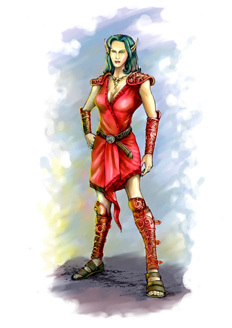 The character everyone seems to identify most strongly with is Adrina. 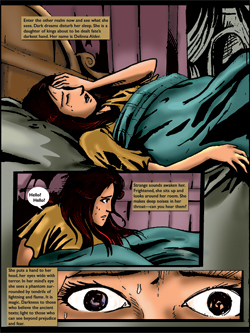 Most readers understand her great sadness over the loss of her mother and how it has affected her life. 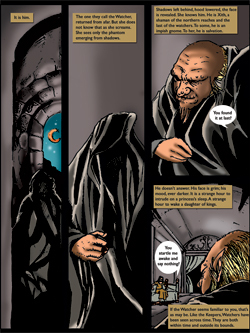 In the third book, there is a dark scene where Adrina faces her demons, and Robert Stanek has heard from more than a few readers about that scene. Seth, Emel, and Vilmos also have a lot of fans. 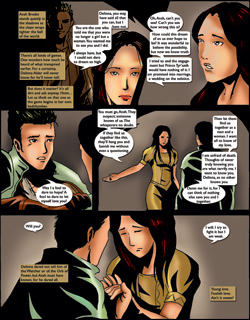 Of these three, the one character that the author was initially unsure of was Emel. Emel is Adrina's dearest friend. They've been getting in trouble together since they were toddlers. 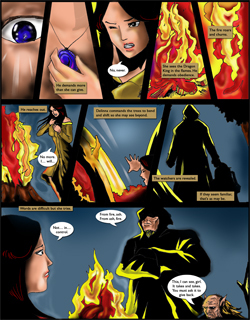 In the original planning for the first book, he had a small part, but as the author got into the writing, there was so much chemistry between Adrina and Emel that he expanded the role. 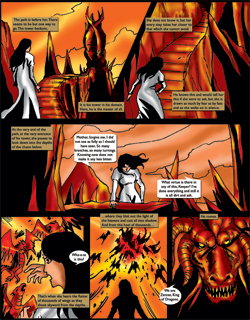 Emel is a favorite of many readers. It gladdens the author's heart when readers also understand and sympathize with minor characters. A lot of readers love Edward Tallyback and they want nothing more than for him to come back and play King's Mate with Vilmos. Unfortunately, that would be difficult given Edward's current condition, so the only thing we can tell these fans is that Vilmos will play King's Mate again and the game will have a much more significant role in the story when he does. 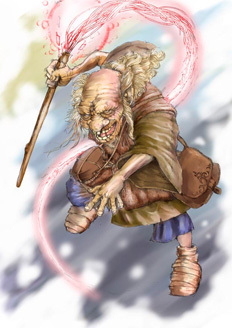 Myrial is another minor character that readers are particularly fond of. 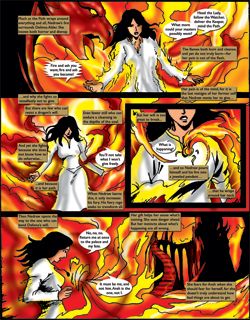 Her character originally had a very small part to play in the books, but, like Emel, she came to life on the page, so much so that the author expanded her role. So as you can see, Robert Stanek manages the characters as though they were real people. Every character in every book has a history, a past. Sometimes what he writes onto the page, the things they do in the story, changes what he originally saw as their future. Because of this, their roles in the story change. How come the Ruin Mist world has differing histories? Like the author has said before, there are two sides to every story. Our version of a story may be different from yours, even if we're witnessing the same events. Now, if we're talking about history, the stories from opposing societies and peoples are often very different. The contrast may be as different as night and day. In our own history, we're starting to see how very different viewpoints can be. What is the dark place Vilmos visits? Ruin Mist has three distinct realms of existence: Under-Earth, Middle-Earth and Over-Earth. Under-Earth, with its blood-red skies and lack of sun, moon, or stars, is a dark place at first blush. But as you get a deeper, better understanding of this otherworldly realm, you may see it in a different light. Literally. Where do the dragons and titans live? Over-Earth is the home of dragons and titans. But don't forget about the eagle lords. Those three are the great races of Ruin Mist's past. At the dawn of the first age, it was the titan Ky'el who gave the lesser races (men, elves, and dwarves) their freedom—at a great cost to himself and his people. 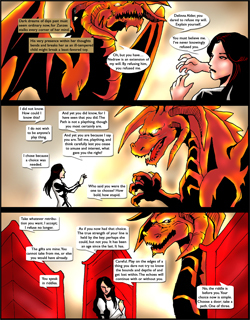 Before that, the lesser races were slaves to the greater races (dragons, titans and eagle lords). Over the millennia, knowledge of Over-Earth's existence faded from the memory of the living, even that of the long-lived elves and dwarves. Most believe it is a place of myth and legend, and that it never truly existed. That's all we can say without giving away too much of the story in later books. How come men and elves are enemies in Ruin Mist? Men and elves have a rich history together as friends and foes. In the time of Ky'el, men and elves labored side by side catering to the whims of their masters. But by the dawn of the Second Age, men and elves became the masters of their own lands and kingdoms. Thanks to Ky'el and his great sacrifice. A peaceful time followed, but that peace was broken by Dnyarr, Elf King of Greye. 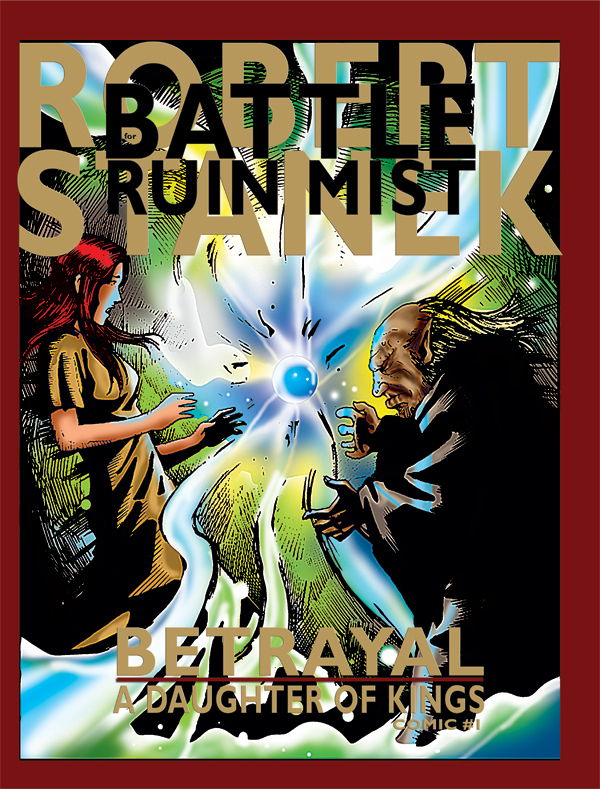 Dnyarr united the elves against men, and that betrayal was the greatest in the long history of Ruin Mist. That betrayal is the reason men and elves are divided. There is more of course, but the true secrets are revealed in the books over the course of the story. 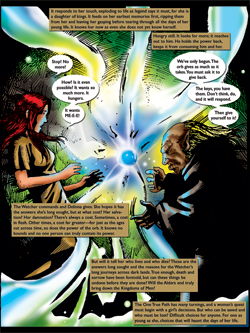 Original artwork created by popular author Robert Stanek. 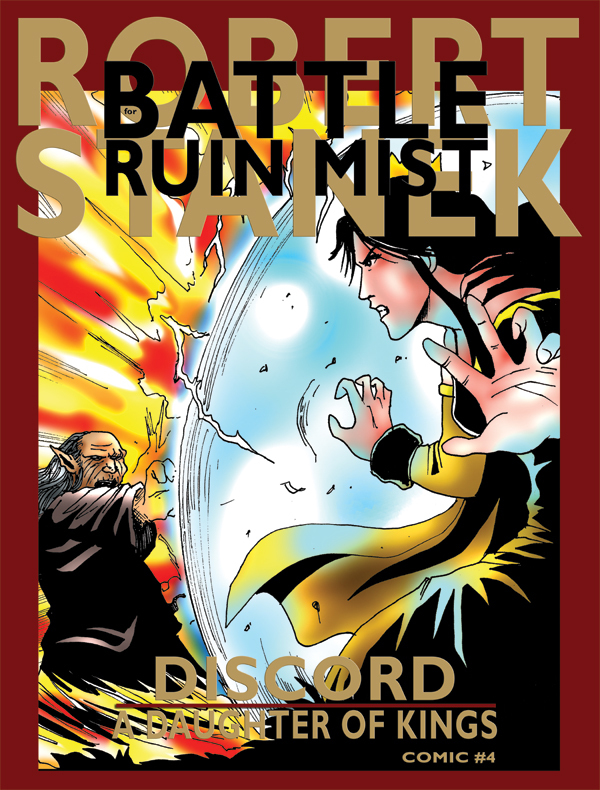 Enter the world of Ruin Mist! Mini poster prints (11x17), Small Poster prints (16x20), Large poster prints (23x35). Beautifully framed art prints starting at $34.99. Wonderful artwork for any fantasy fan. Explore imaginary vistas and strange new worlds! Looking for cool shirts? T-shirts, Sweatshirts, Baseball Jerseys, Golf Shirts, Tank Tops, Kids Shirts, Dads Shirts, Moms Shirts! We have it all! Fantasy Fans Will Love These. Looking for the perfect gift for Dad or Mom? Why not give them a coffee mug, beer stein or travel cup with spectacular artwork! Send greeting cards and post cards with breathtaking vistas and gorgeous scenes. Greeting cards in sets of 6 and postcards in sets of 8. Find great values!